Wrist and hand injuries are very common in sports trauma, particularly in many contact and ball sports. However, they are often missed or treated as simple sprains. 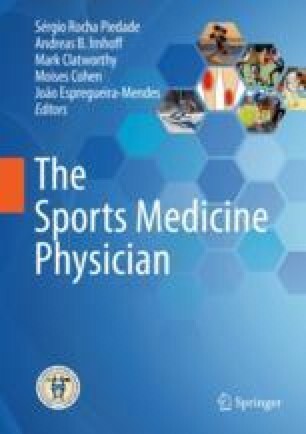 A high index of suspicion is needed when symptoms and signs persist, particularly, if the athlete continues to compete with a painful wrist or swollen finger, which can lead to further injury of the secondary stabilizers and articular surfaces. Unfortunately, these late presentations are a much greater challenge to manage. It is too late to simply reduce the joint or the fracture, so a salvage procedure such as a fusion may be required. This chapter presents and discusses different scenarios of wrist and hand injury in sports practice, clinical and radiological evaluation, as well as therapeutic approaches. For assistance in preparation of this manuscript, Kimberley Ruxton, Research Manager, Department of Orthopaedic Surgery, Flinders University, and Flinders Medical Centre, Adelaide, Australia; upperlimb@flinders.edu.au; +61882044289.